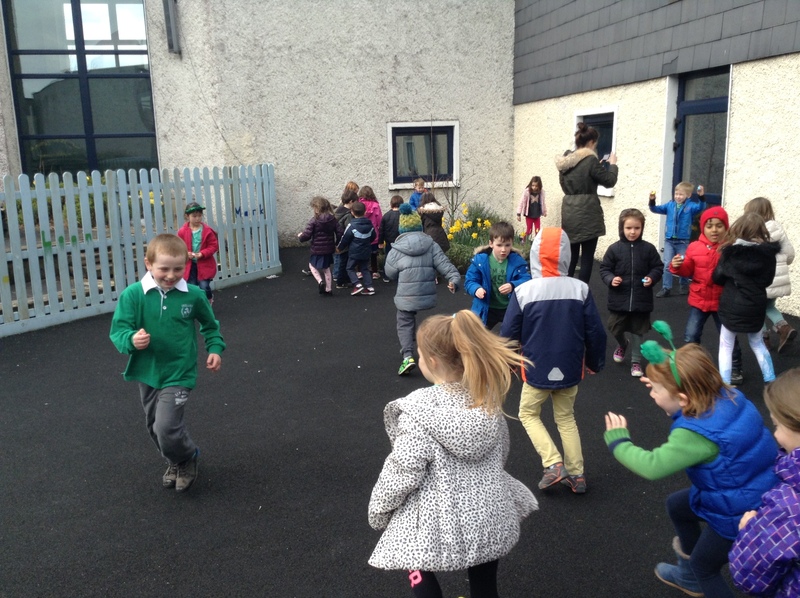 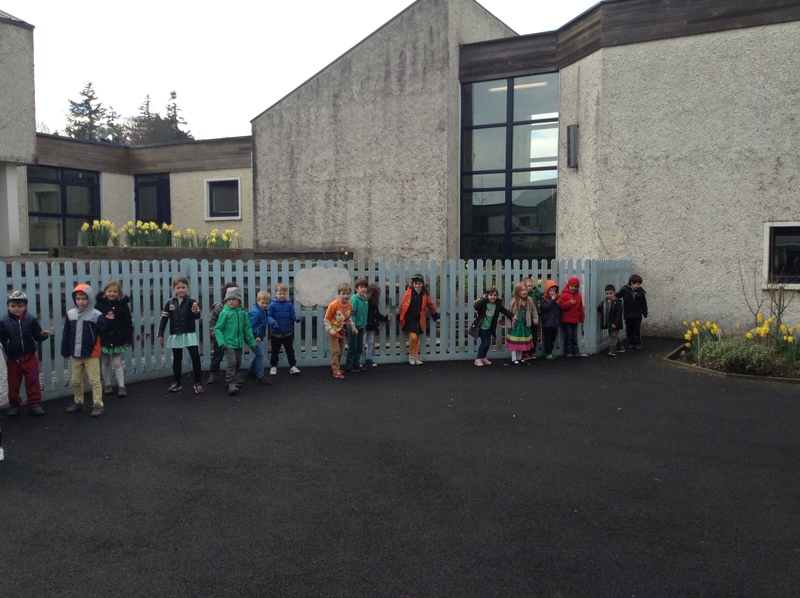 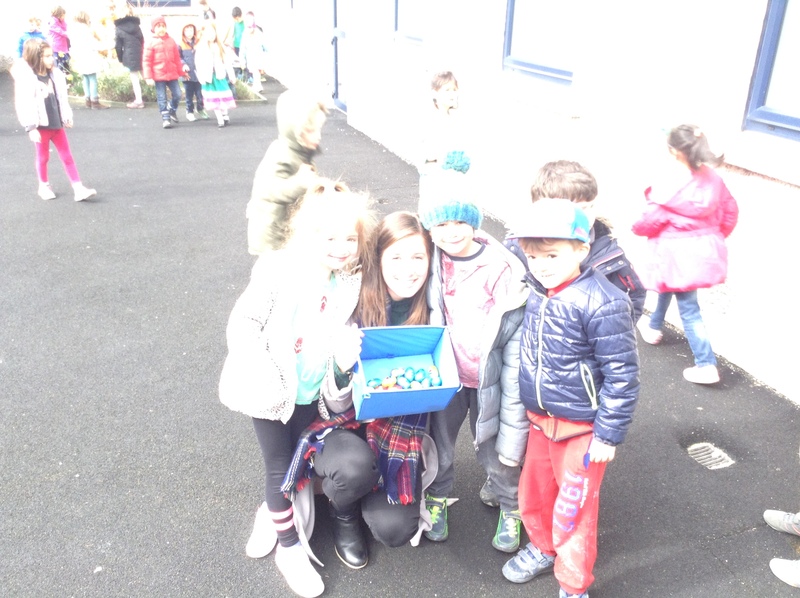 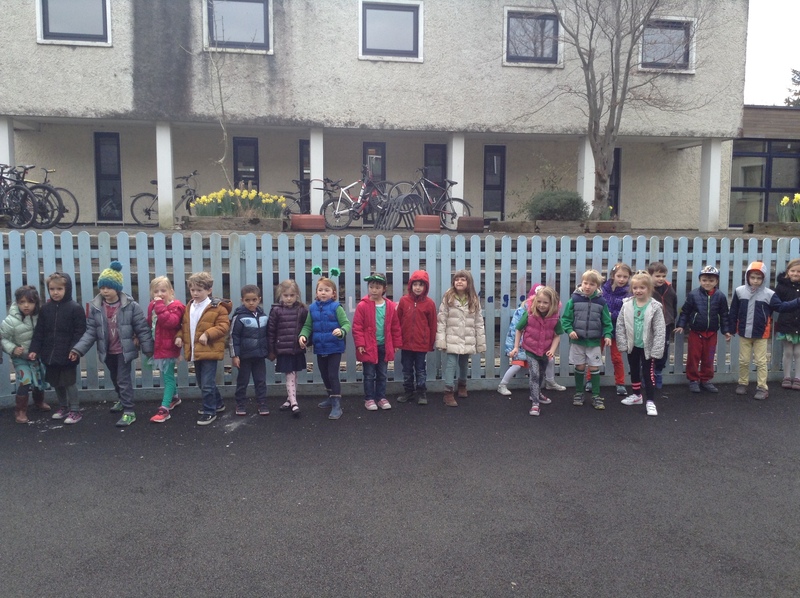 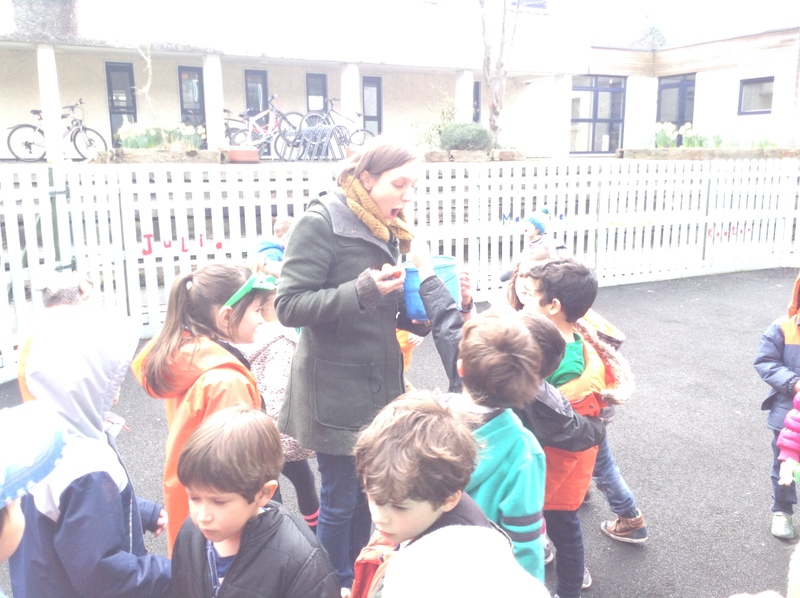 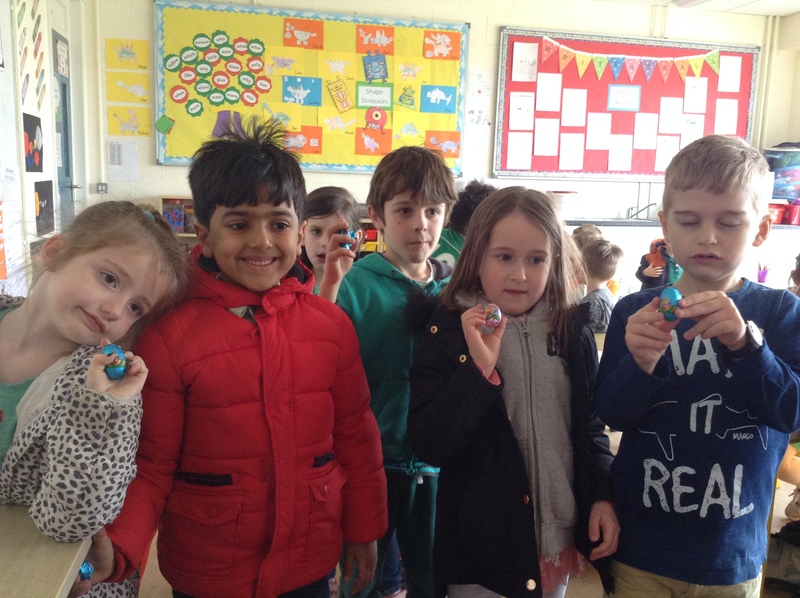 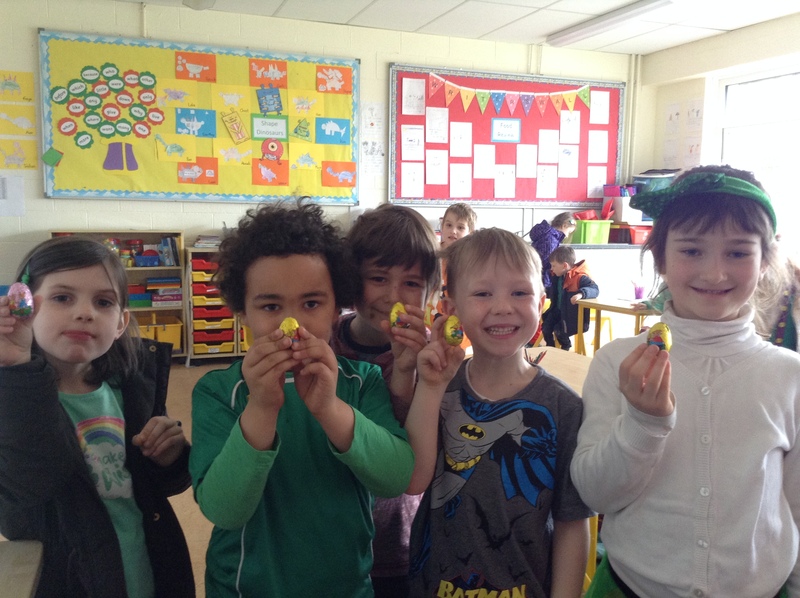 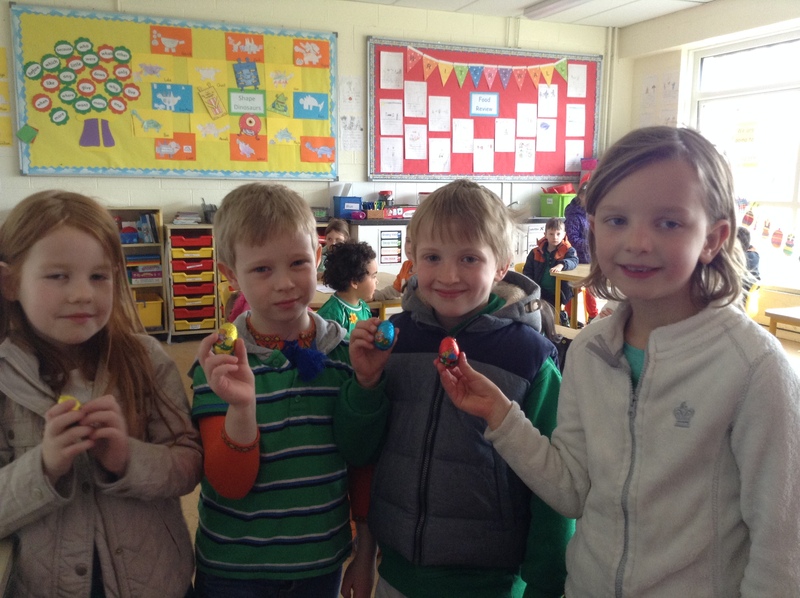 Senior Infants had an egg hunt today! 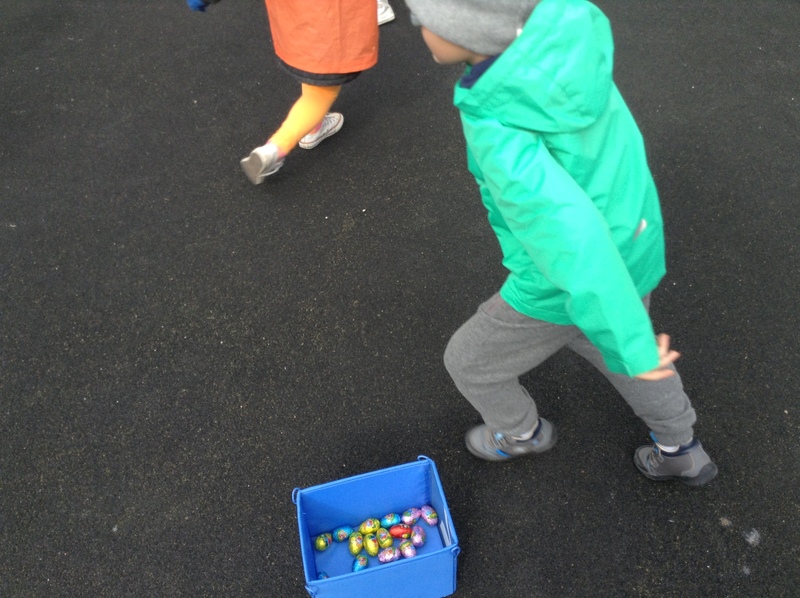 We heard rumors that something with a fluffy tail was hopping about outside, we also heard that this creature had dropped shiny oval objects around the playground! 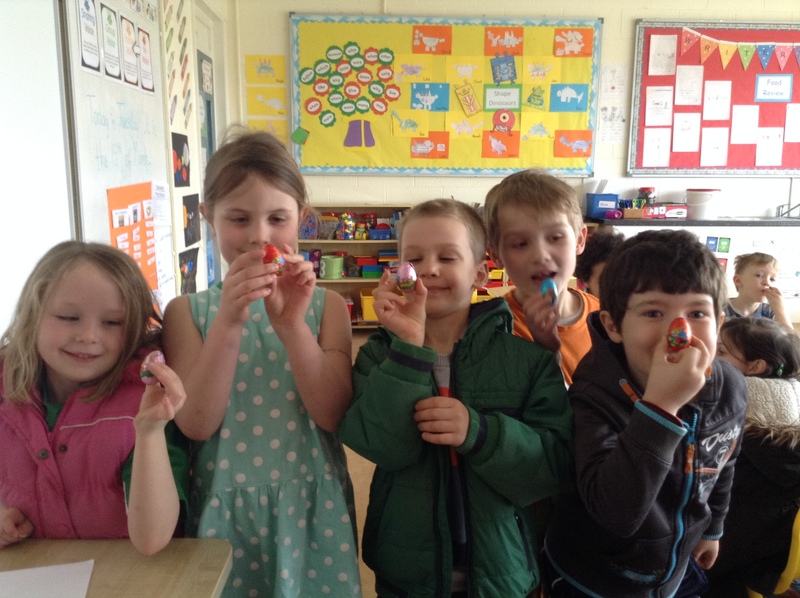 We had a prime suspect in mind – could it be the Easter Bunny? 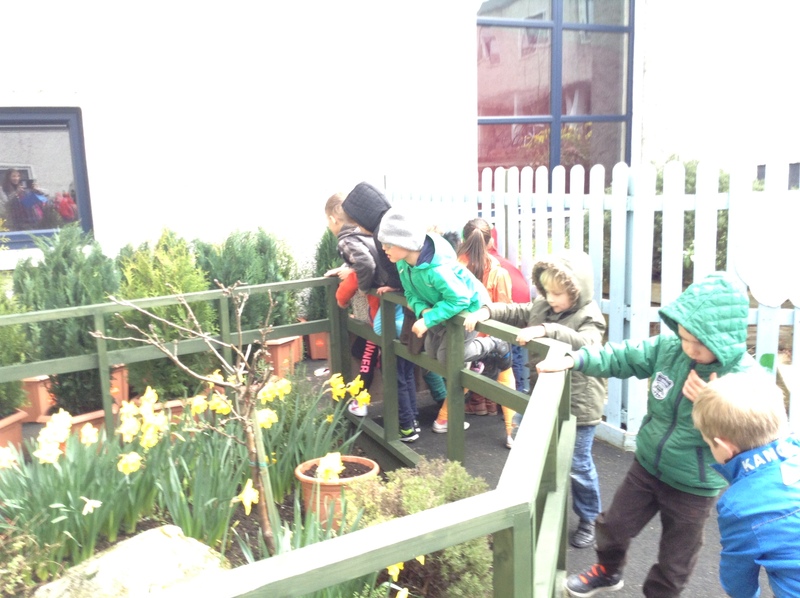 We had to investigate! 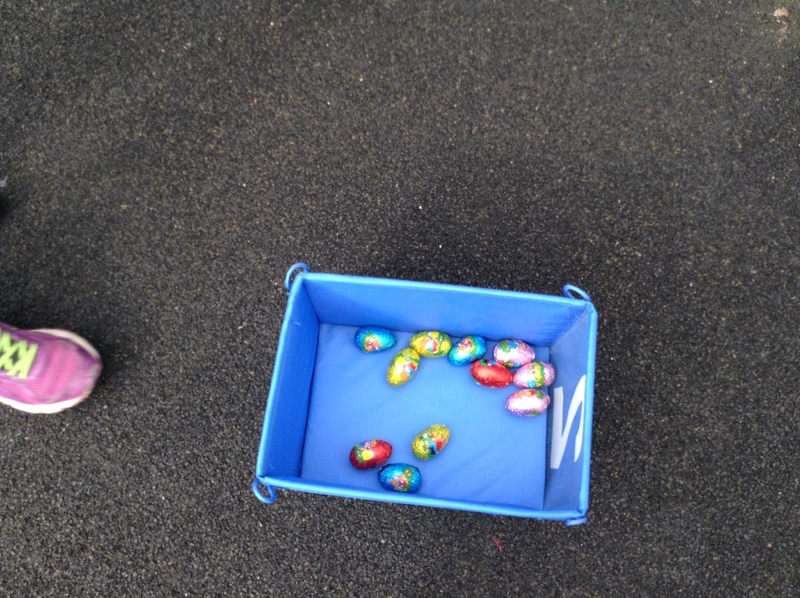 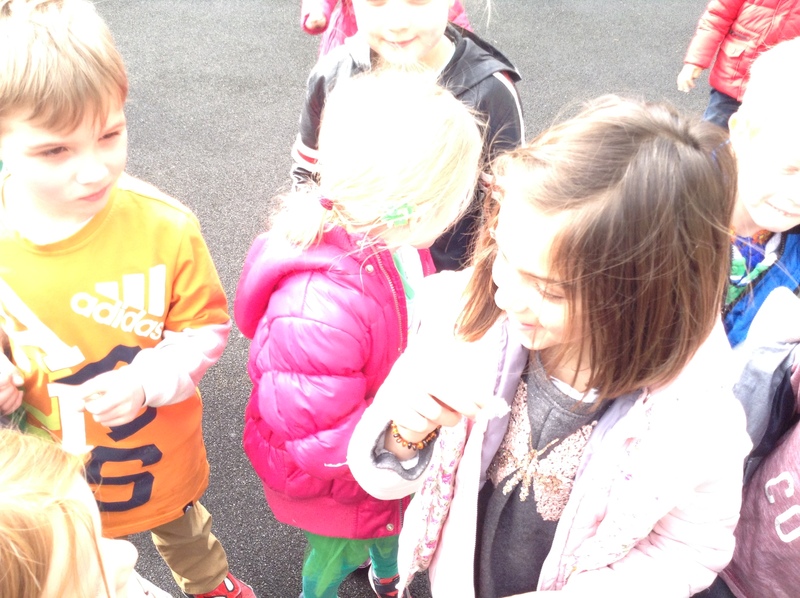 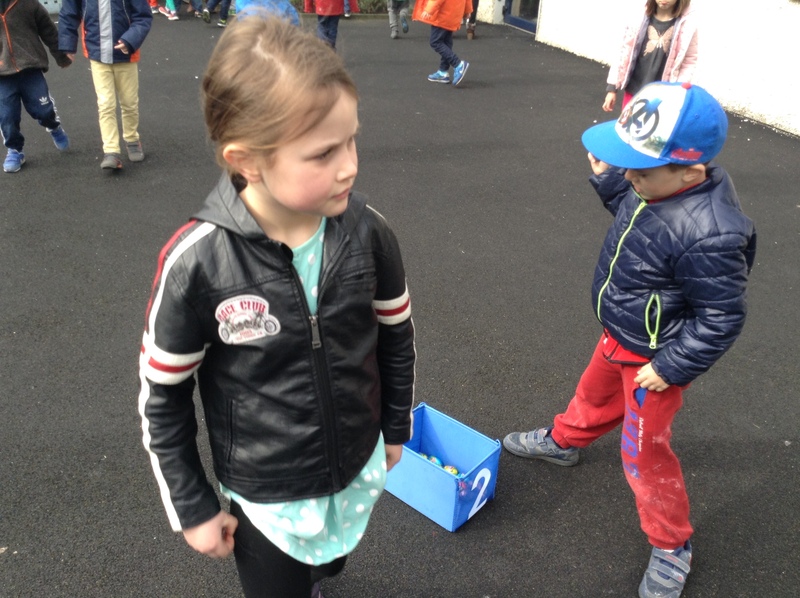 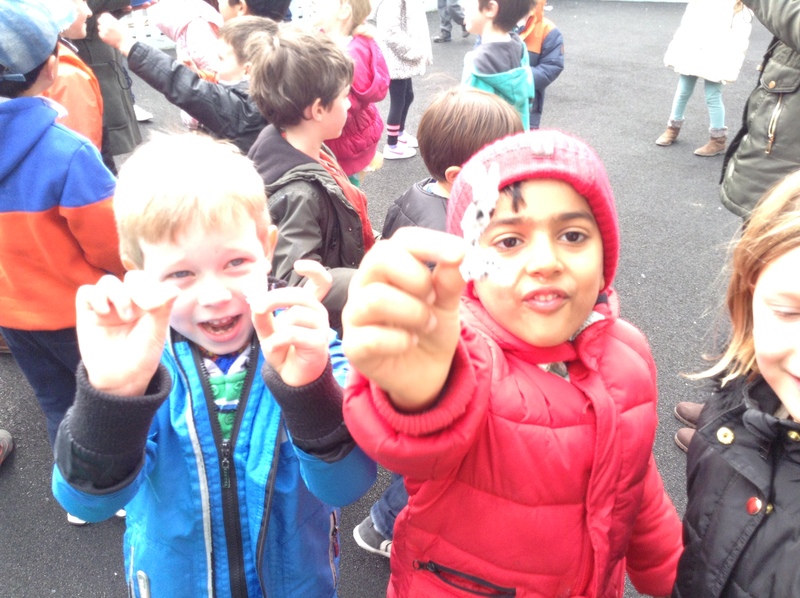 Imagine our delight when we saw our playground littered with shiny oval eggs! 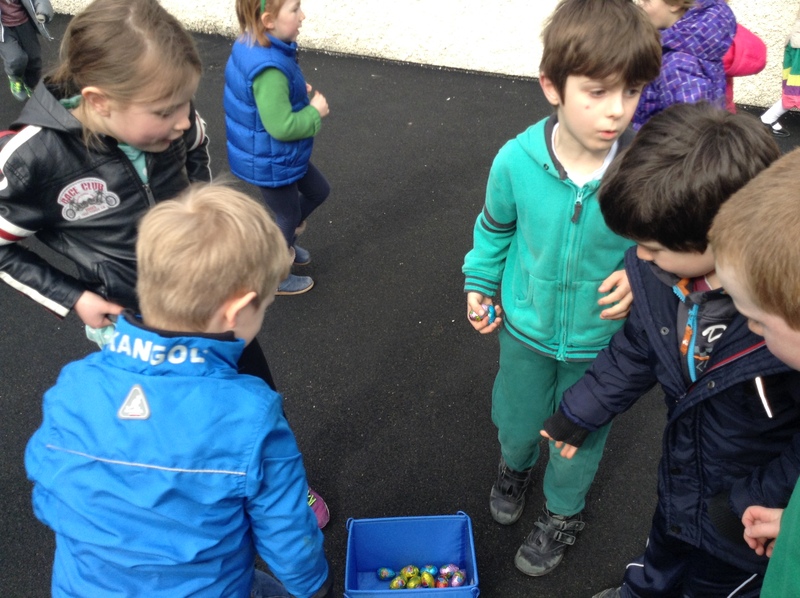 We went on an egg hunt, collecting them all into baskets. 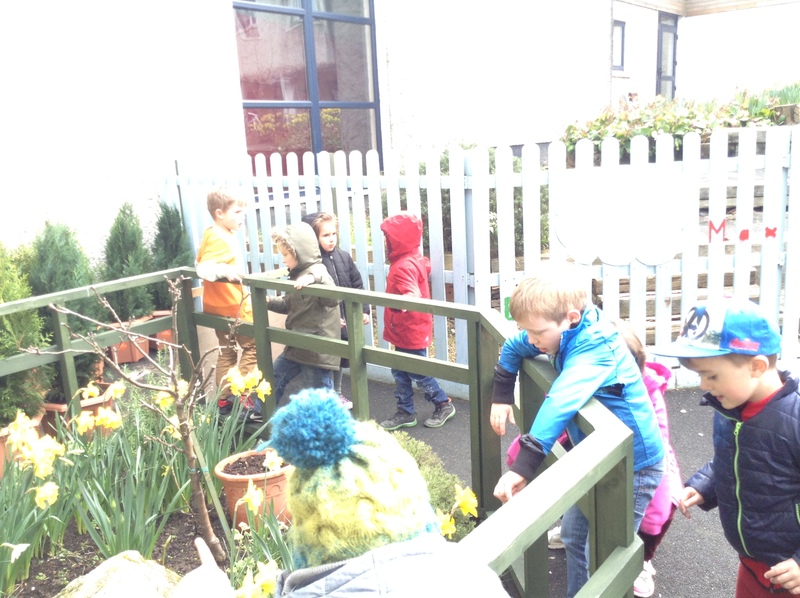 We counted them as they went in and there was exactly one for every child! 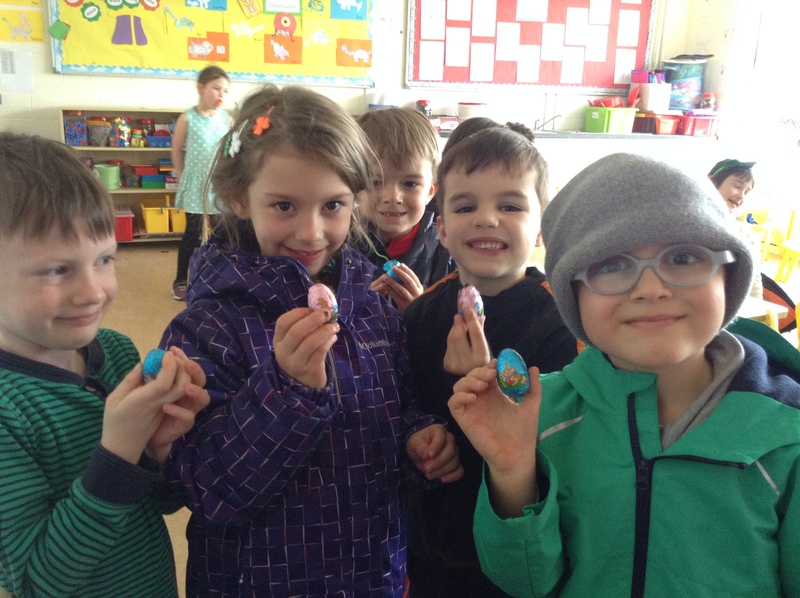 It wasn’t just eggs that we found…We found bunny shaped prints leading out of the gate….We found some white feathery fur …. 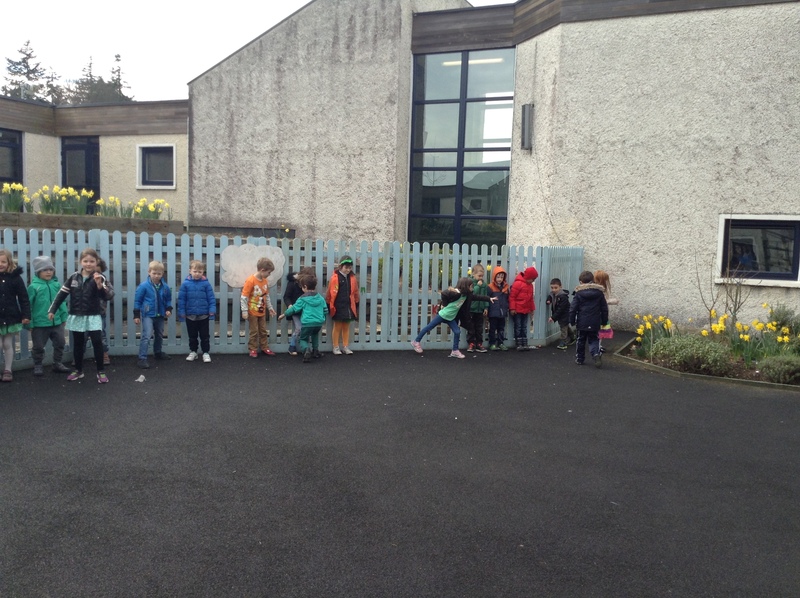 Some people even say they saw a white fluffy tail disappearing over the fence as we walked in! 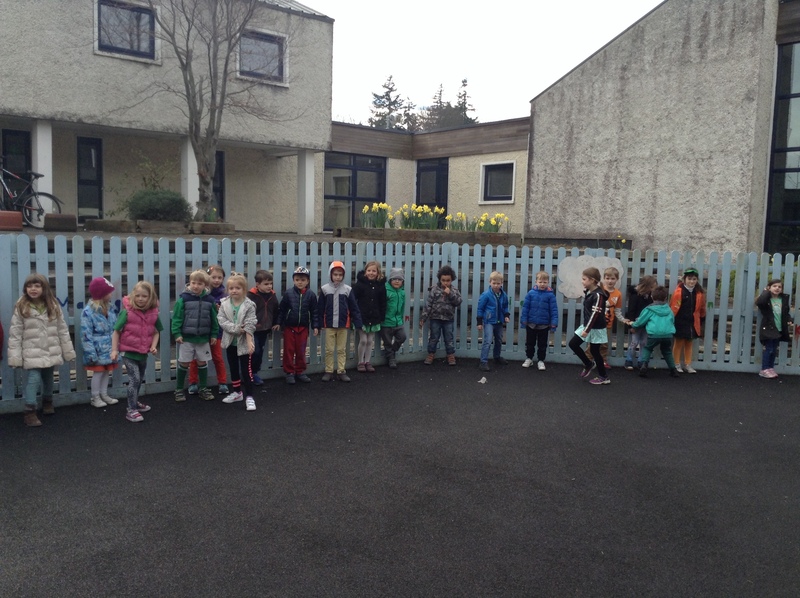 Very curious!